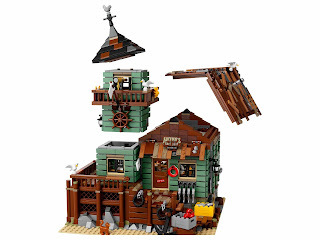 come with the old fishing store. 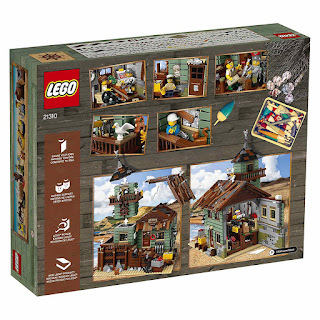 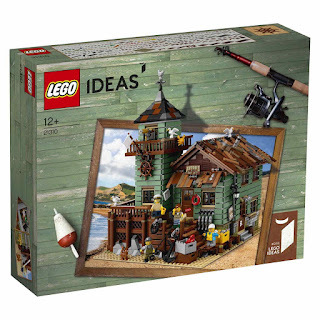 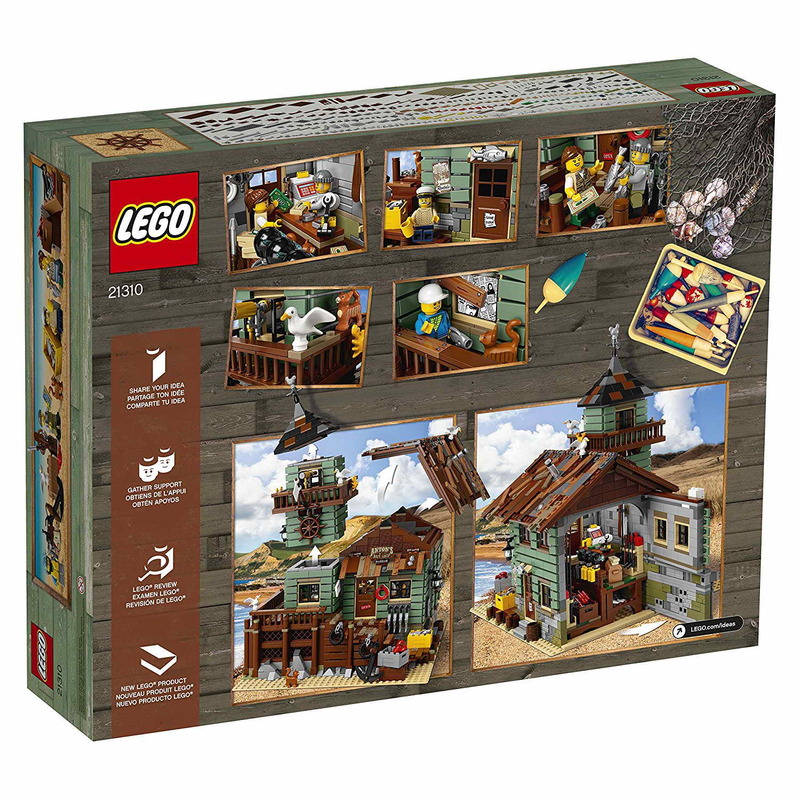 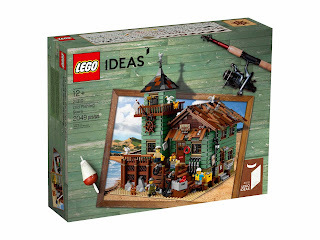 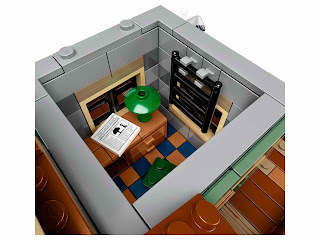 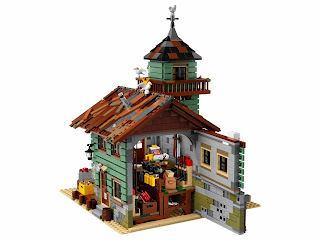 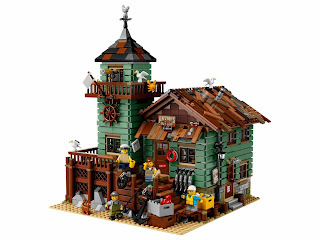 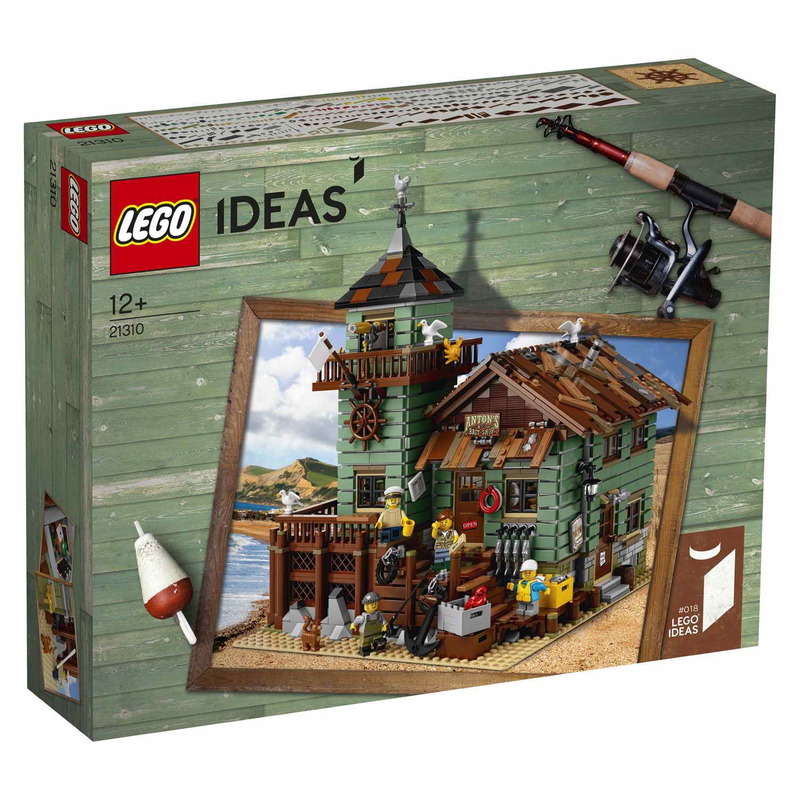 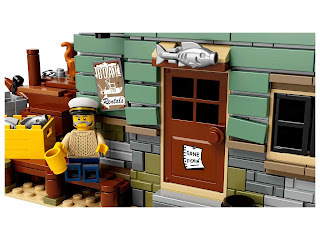 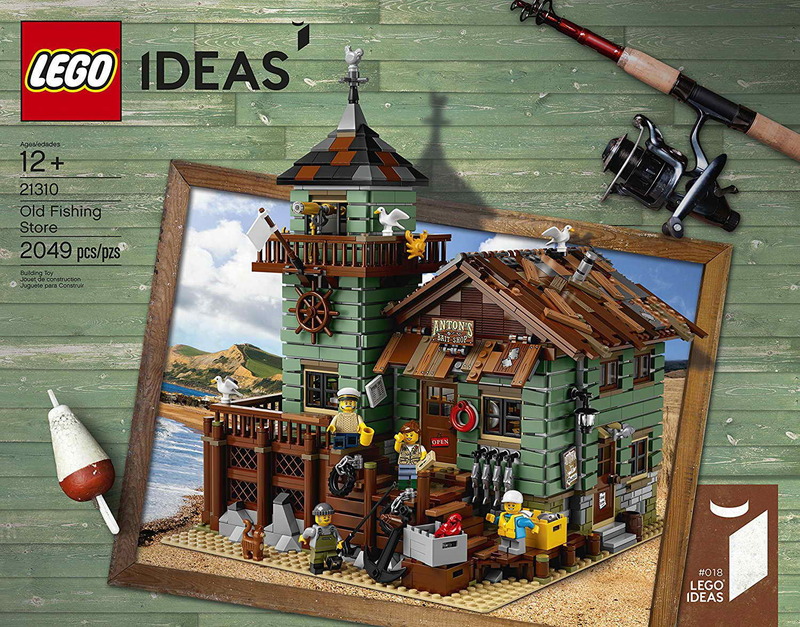 the old fishing store has a detailed exterior, a shop, a connected lookout tower and an office. 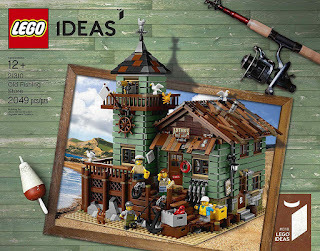 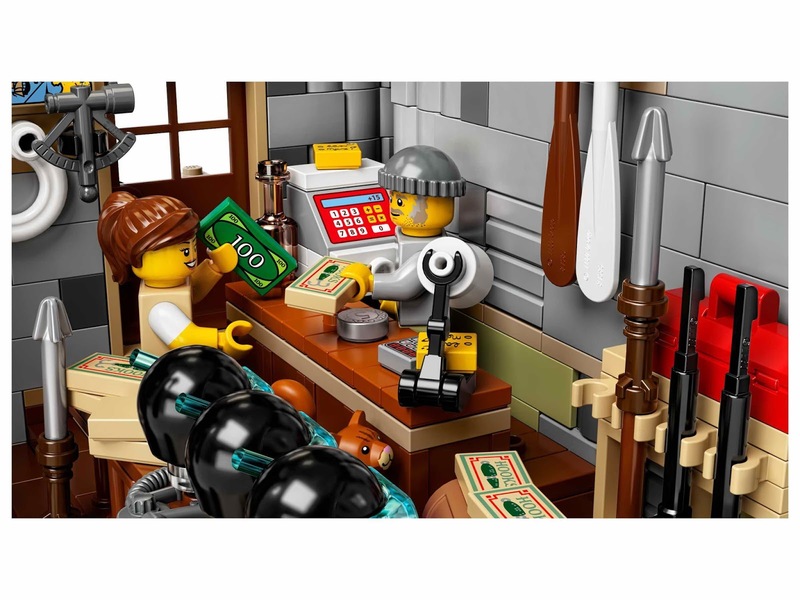 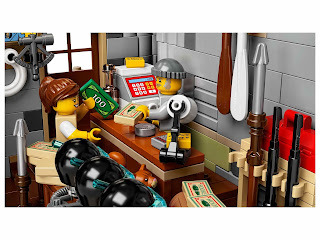 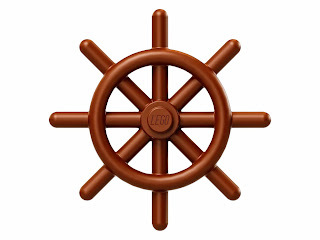 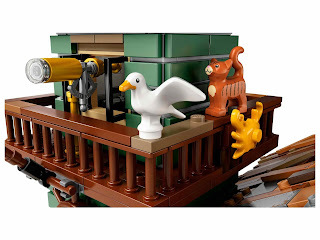 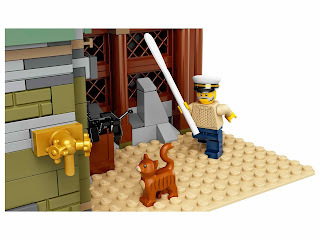 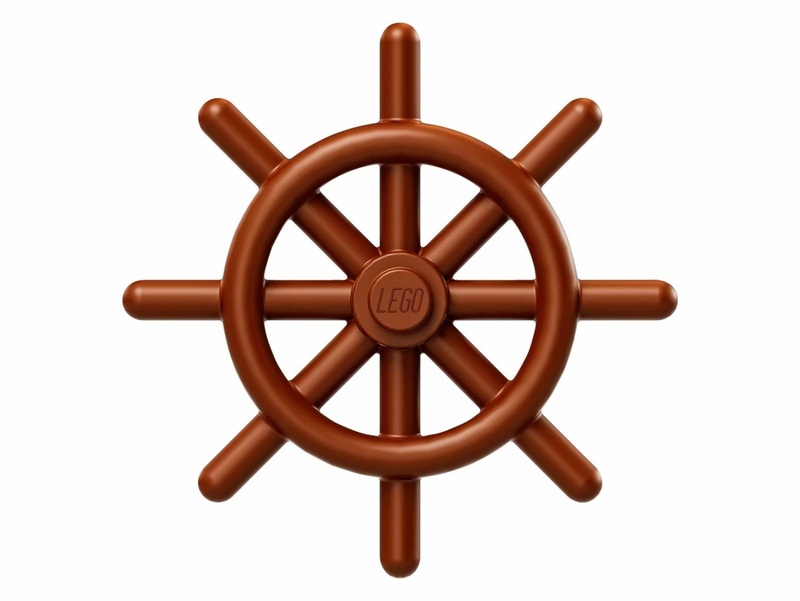 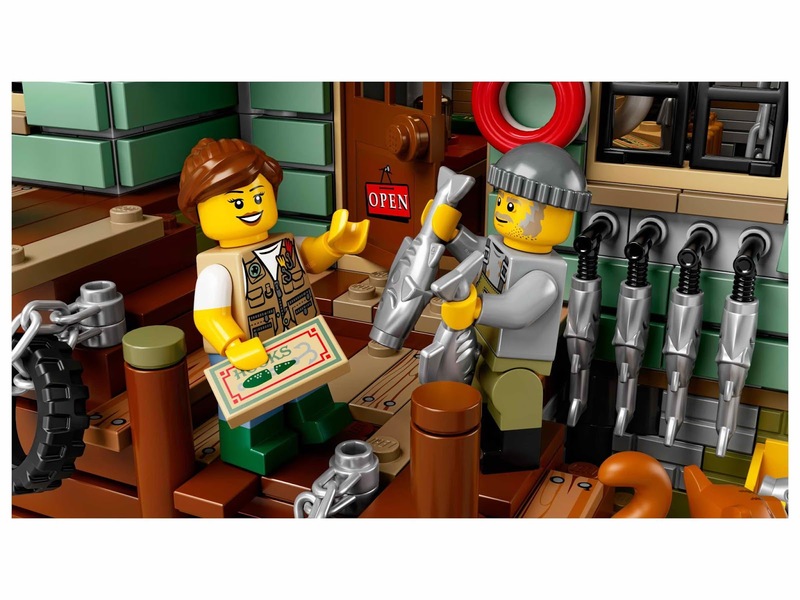 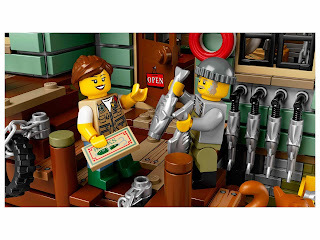 the minifigs included a captain minifig, a fisherman minifig, a fisherwoman minifig and a child minifig.